Voltage references are electronic circuits that produce constant output voltages (references) that are used to compare other voltages in a system. Shunt references operate in parallel with the load. The most common types of two-terminal shunt reference are based on the Zener principle, in which the current in a reverse-biased diode begins to flow at a certain voltage threshold and then increases dramatically with an increase in voltage. 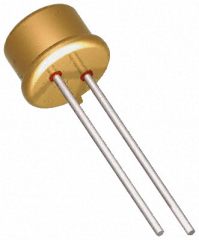 Resistors in series with the diode establish a constant current, allowing the Zener to achieve a stable reference voltage. The Zener reference behaves like a typical shunt or two-terminal reference. Subsurface or "buried" Zener references are more stable and accurate than the simple Zener-reference. 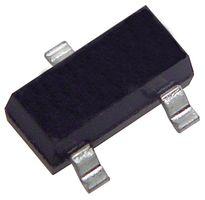 They consist of diodes with the correct value of reverse-breakdown voltage, formed below the surface level of the integrated-circuit chip; then covered by a protective diffusion to keep the breakdown below the surface. At the surface of a silicon chip there are more impurities, mechanical stresses and crystal-lattice dislocations than within the chip. 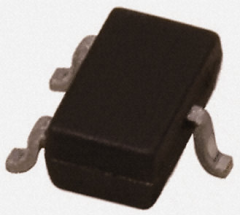 Since these contribute to noise and long-term instability, the buried breakdown diode is less noisy and much more stable than surface Zeners. This is the preferred on-chip reference source for accurate IC devices. However, its breakdown voltage is normally about 5 V or more and it must draw several hundred microamperes for optimum operation, so the technique is not suitable for references that must run from low voltage and have low power consumption. For such applications, the "bandgap" reference is preferred. Series references operate in series with the load. They are typically three-terminal devices. The bandgap reference compensates the effect of temperature by subtracting the negative-temperature coefficient voltage of a forward-biased base-emitter junction from a positive-temperature-coefficient proportional-to-absolute temperature (PTAT) voltage. It develops a voltage with a positive temperature coefficient to compensate for the negative temperature coefficient of a transistor's Vbe, maintaining a constant "bandgap" voltage. Measuring and amplifying the voltage difference between two forward-biased diode junctions generates the PTAT voltage.